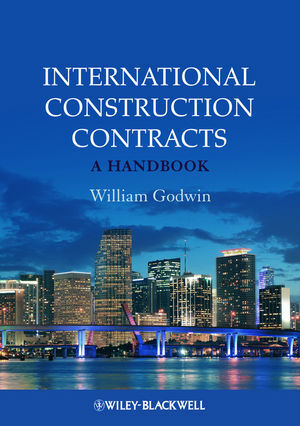 The aim of this Handbook is to provide concise and practical guidance on the contractual aspects of international construction and engineering projects to all those involved in negotiating and managing them. international standard form FIDIC contracts: the contract forms published since 1999 by the Fédération Internationale Des Ingénieurs-Conseils (the International Federation of Consulting Engineers). Among these FIDIC contracts are two design-build forms, the Yellow and the Silver Books, and we examine these systematically in the second part of this Handbook. We focus on them because design-build contracting, in which the contractor takes responsibility for all or most of the design, is increasingly the norm in international projects. This Handbook covers such basic questions as: What is a contract? How is a contract to be distinguished from the various negotiations taking place between the parties before the contract is formed? How are the risks of construction typically allocated between the parties to a construction contract? And what do features of the FIDIC Red and Silver Books, for example, tell us about risk allocation in different types of project structure? One important type of structure we look at are concession-type projects. Disputes and how to resolve them are important features of the management of any project. If the project goes badly and one or other party suffers some detriment, how can that party pursue a claim? How might such a claim be resolved? such as the growth of regional centres in the Middle East and Asia Pacific. In order to illustrate how an international arbitration might actually work, we provide a fully worked-out example of a fictitious London-sited International Chamber of Commerce arbitration from start to finish. This includes example ‘pleadings’, a detailed case narrative and commentary on events, and an example arbitration award.